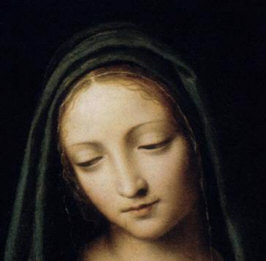 De Maria Nunquam Satis -St. Louis De Montfort(Translation) "With Mary there is never enough"
Credo in Deum Patrem omnipotentem, Creatorem caeli et terrae; et in Iesum Christum, Filium eius unicum, Dominum nostrum; qui conceptus est de Spiritu Sancto, natus ex Maria Virgine; passus sub Pontio Pilato, crucifixus, mortuus, et sepultus; descendit ad infernos; tertia die resurrexit a mortuis; ascendit ad caelos, sedet ad dexteram Dei Patris omnipotentis; inde venturus est iudicare vivos et mortuos. Credo in Spiritum Sanctum; Sanctam Ecclesiam Catholicam; Sanctorum communionem; remissionem peccatorum; carnis resurrectionem; vitam aeternam. Amen. O you, who are, after God, my powerful protectress and my true consolation in this world, you who are the celestial dew that sweetens my pains; the light of my soul when plunged in darkness, my guide in my journeys, my strength in my weaknesses, my treasure in poverty, the remedy of my wounds, my joy in all my sorrows, my refuge in all dangers, the hope of my life and of my salvation, deign to hear my prayers, to take an interest in my woes, and to show me that compassion which peculiarly belongs to the Mother of a God Who entertains such love and goodness towards men. He is their Father, and He has constituted you their Mother. Ah! 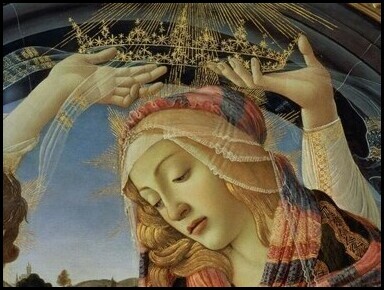 place me then amongst the number of your dearest children, and obtain for me from God all the graces which you know to be necessary for the salvation of my soul. Amen. © StGemma.com Web Productions Inc. 2005-2016. All rights reserved.